Joseph Sellers, Jr., has risen steadily in his 37 years as an industry professional and union official. A second-generation sheet metal worker, his background includes managing the union and its affiliates at every level as well as many years as a leader in education. Sellers’ foundation in the labor movement reflects values learned from his father, whose deep commitment to the union sheet metal industry spanned 56 years as a member and 30 years as a local union officer. Sellers started his apprenticeship in 1980 at Local 19 in Philadelphia and became a journeyman four years later. He was elected to the local’s Executive Board in 1994 and was appointed to be Training Coordinator in 1996. In 2002, after serving as a Business Representative for two years, he became Local 19’s President and Business Manager. In August 2009, Sellers was elected to the international leadership as 11th General Vice President. The General Executive Council elected him to serve as the union’s General Secretary-Treasurer (GST) effective July 1, 2011, was unanimously re-elected as GST by delegates to the first SMART General Convention in August 2014. Sellers became SMART’s General President May 1, 2015. During his tenure as an officer at Local 19, Joe also held a number of important union and industry posts. He was president of many groups, including the Pennsylvania State and New Jersey State Councils of Sheet Metal Workers; the Mechanical Trades District Council of Delaware Valley; the Metropolitan Association of Presidents and Business Representatives; and the board of directors for the National Energy Management Institute (NEMI). He also was Secretary/Treasurer of the Mechanical and Allied Crafts Council of New Jersey. As SMART General President and General Secretary-Treasurer, Sellers led special campaigns to increase outreach and awareness for pension and health care issues. 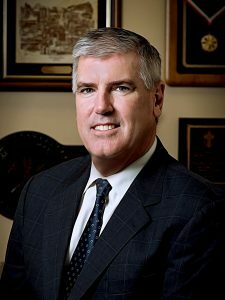 He has held several positions with the AFL-CIO and North American Building and Construction Trades Department at the national, state, and local levels.